Hello , I have developed many Android applications so far. This app is popular and has good potential to earn money easily . 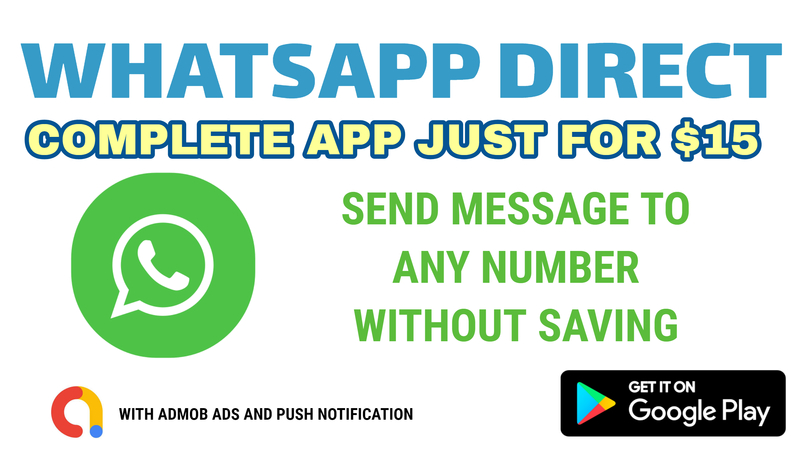 This app allows user to send message to anyone without saving the contact to phone directory . Similar type of apps are popular in the market . This app is called Whats Direct . This package is complete with Admob ads , I can add Airpush notification service for extra $5 .